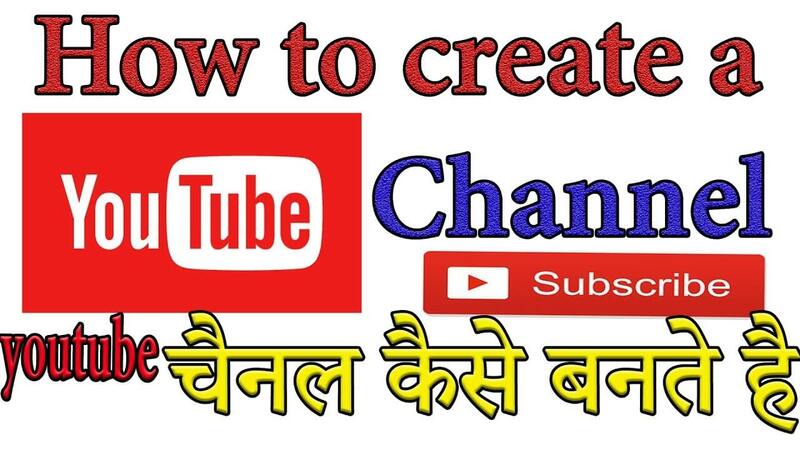 Today I am going to tell you about how to create YouTube channel for business and to earn money. In the last post I have told you in detail about how you can earn lot of money from the YouTube. Those looking for online income must use this opportunity available through YouTube. In continuation to the last post, today I will tell you step wise process of how to create YouTube channel. Step 1: First of all you need to pick up a unique name for your channel. The name should be related to the activity which you are going to provide. It should be simple and easy to remember for the visitors or audience. The name you will choose will remain for forever as you can not change it in future. Therefore give a good thought on it and select the name wisely. Step 2: To create a YouTube channel you need to have a google account. Getting the Google account is quite simple. Go to YouTube and log in with your Google account. After logging you can see your name or username at the top of the menu. Once you click here you will get access to your user page. Step 3: Upload a profile picture. It is very important to put your profile picture, it will establish your identity. It will distinguish your channel from others. You can also put a profile picture related to the type of activity which you are going to conduct through your channel. Step 4: The next step is to add channel art. Channel art is the image at the top of your channel. It will be a big picture similar to facebook cover page. In this image you can very well describe about your channel. This is a very important for your channel as this will distinguish your channel from others. You can also include your channel name and any tagline in the image. Step 5: Now it’s time to describe your channel. Add a brief but catchy description of your channel so that visitor may get aware what kind of content the channel is going to provide. Channel description can be easily added or modified by clicking Channel Description button. To go to channel description you need to click the about tab on your channel page. Thereafter you can feed the details such as channel description, details, country of operation etc. Write your channel description carefully and a summary of the activity of your channel. Step 6: Give your channel a name which should be linked to the channel description as well as video contents of your channel. The name should be related to your activity so at one go the visitor understand the purpose of your channel. Through your Google account you can create a YouTube channel. If you want to upload videos, post comments, make playlists etc. you need to create a channel. You can create it through your computer or your mobile. Sign in to YouTube and try any action such as upload videos, post comments, make playlists. If you are not having channel with that account the YouTube will ask to create a channel. Create a channel with for a personal or for a business purpose as the case may be. Conclusion: The purpose of this small and to the point post was to give you a clear understanding on how to create YouTube channel. YouTube is an effective source of earning money. It is not only a source of great entertainment it also provides you an opportunity to earn huge money by using its platform.